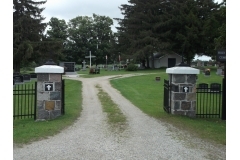 Holy Cross Cemetery is currently being used by St John's, St. James's, and St Mary's Catholic churches. Catholic Episcopal Corporation of the Diocese of Hamilton. Although owned by the Episcopal Corporation of the diocese of Hamilton, it operates independently. 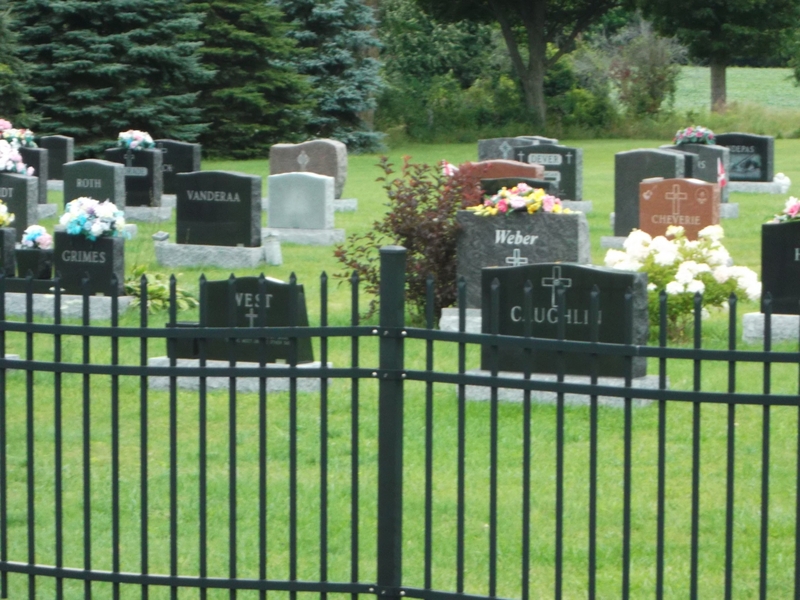 Three acres in size, Holy Cross Cemetery is laid out in five large plots consisting of Saints names and each plot is numbered. In the northeast part of the cemetery there is a section known as "Potters Field." This area was used for anyone whom the Parish Priest was not sure of having been a practising Catholic. In 1989, the Cemetery Board purchased 1.5 acres from Frank Lucas for the sum of $7000.00. 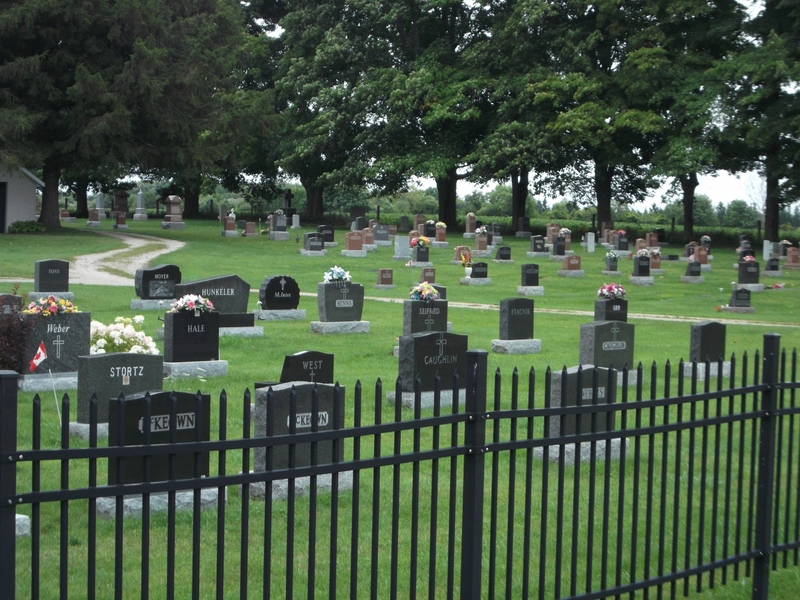 This land is adjacent to the cemetery on its south side. Decoration Day is held by the Royal Canadian Legion every other year in our cemetery and every year a mass is said in the cemetery by the parish priest for our beloved dead. The cemetery now has electricity in the Mausoleum and a drilled well. 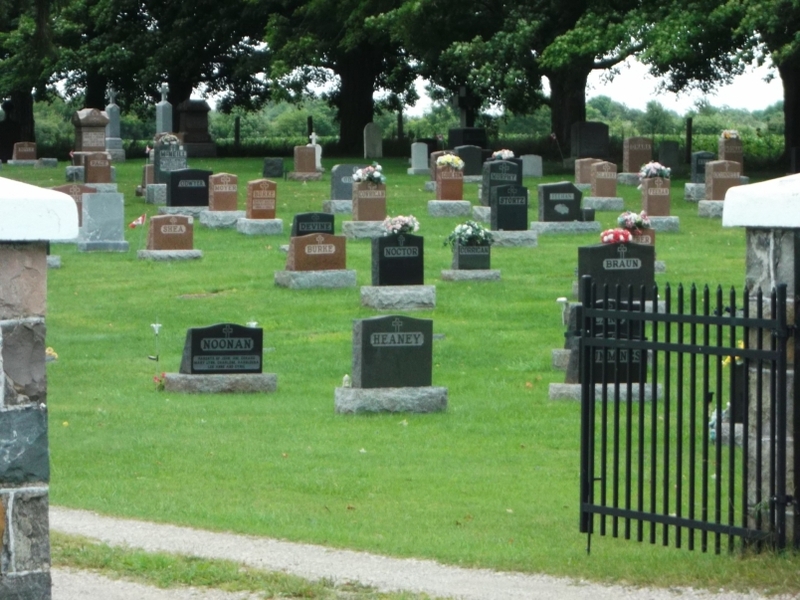 Cement vaults are now mandatory in the cemetery. Wellington County Museum & Archives. The cemetery is situated on Lover's Lane on the east side.